Still scratching your head wondering which gift will suit your cute baby this summer? No more worries. I have interacted with many kids in the park and playgrounds who have some good taste for kids play tent. To my surprise, not all types make them happy; so please do not make a mistake while purchasing. It is heartbreaking to see a child crying inside a tent. 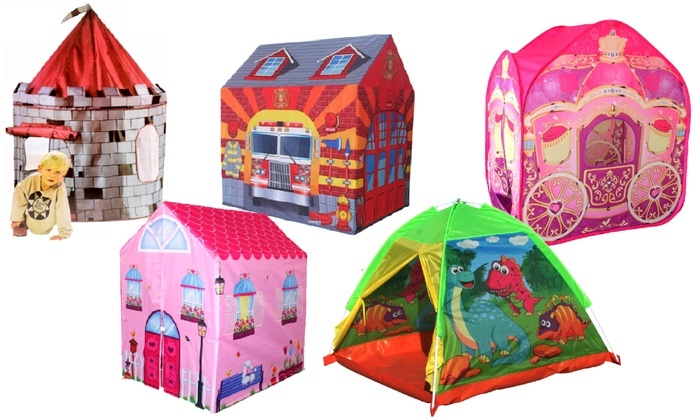 The list below includes five toy tents that will give kids adventure a new touch. Read through for more insight. 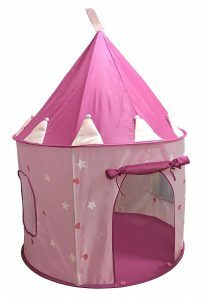 This remarkable tent is specially made to hold up to three princesses for a pleasant relaxation all day long. With two windows on the side; it allows adequate circulation of air. You can put it at different places in the house, all corners to be precise. This beautifully colored tent makes backyard adventure more fun. Kids can look out through the windows or door as they engage in different plays. The castle can be a hiding place or a princes’ kingdom.It is decorated with stars that glow brightly in the darkness and hearts. 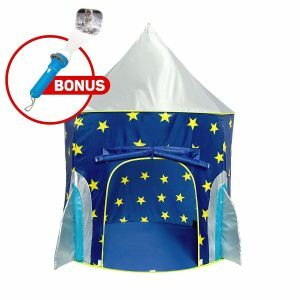 Fox princes’s castle play tent gives kids a chance to enjoy their time alone away from adults. They solely make decisions on when to play, rest or sleep. Assembling the shelter is an easy task that takes a few minutes. Poles are placed in concealed sleeves to keep them off the kids for safety purposes. Tent size is 41.5” by 41.5” by 54” when erected and can be folded to fit a portable bag. This unique tent is a perfect choice for outdoor adventure trips and indoor activities. Kids can enjoy a variety of activities inside this gorgeous tent; play, dress up, study, or even sleep. It has an inside curtain that separates a changing room where kids can change clothes and see their look in the mirror before walking out for their friends to see. Setting up the tent takes few minutes hence you won’t keep kids waiting; when playtime is over, cleaning and packing the tent is also an easy task. The inside room created by the curtains can also be used as a hiding place during play or a room to sleep after hours of adventure. This fantastic tent has three openings, two on the side and a door, providing multiple entrances and exits. It has a mesh roof that offers maximum ventilation. 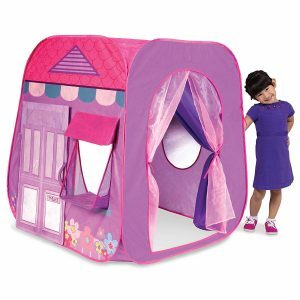 Beauty boutique play tent is decorated with purple and pink colors making it more attractive for kids. It is designed for kids age three years and above. The full package comes with a tent, curtain, door pole, fabric mirror, attachable door and easy to understand instructions. Fast and easy to assemble play tent; requires you to unfold and insert the poles for shape up. Cleaning, which is easy and quick, is done using some wet cloth and soap to ensure a bacteria-free environment for your kids. This great tent can be folded flat and carried around using a portable bag. Its realistic look encourages role play and outer space imagination by kids. Also, this beautiful tent comes with a projector torch that displays twenty-four stars and space images such as the moon when projected on a flat surface; inspires creativity and imaginations. This round shaped castle is made of mesh windows for safety and at the same time allows air circulation in and out of the tent. The door can be folded when it is too hot or closed during the cold season. Free from Lead and PVC hence safe for children.it can be erected in the house, classroom or yard with a size of 41″ by 41″ by 53″. 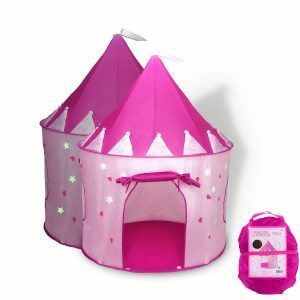 SueSport Girls Princess Castle Play Tent is a one of a kind pink castle. It is uniquely made to give the best indoor, and outdoor kids experience. It is made of stars that glow bright in the darkness giving children a beautiful view. Not only this but it also weighs lightly hence can be folded and moved from one place to another using a carriage bag. Its package contains assembling poles that can be fixed and assembled fast by an adult. This girl’s tent has a diameter of 40″ and a height of 53″ best fit for kids aged three years or more. This alluring princess’ castle is safe for children to use; can be cleaned easily to eliminate bacteria. No suffocation since maximum air flow is allowed by the perforated windows. When placed under direct sunlight, it absorbs heat that enables it to light up in the dark. Its small size is suitable for kids room assembling. Despite its quality, beauty, and convenience, it is offered at a pocket-friendly price. This impressive set of tents and tunnels entertains every kid that gets a chance to use it. Playz Pop Up Tent is a very comfortable play tent for both indoor and outdoor games. It comes with many pieces colored differently to allow kids to engage a variety of different play sets. This beautiful tent is an excellent choice for small kids; it is flexible, well ventilated and made of soft, thick material keeping your kid safe. The tent assembles instantly and can be folded back to a small size for comfortable carriage and storage in a deluxe zipper bag. 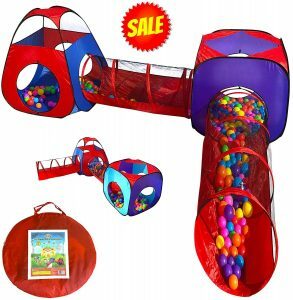 Children aged between one and eight years can freely play inside the tent and tunnels filled with 200 balls or more. It can be assembled in a variety of venues; daycare, carnivals, parks, backyard, parties, nursery among others. Apart from kids, pets too can have fun as they move through the tunnels. Offered at low prices as compared to the excellent service this tent gives. You are shocked that such superb play tents exist? Relax! Play is essential and contributes to the healthy growth of a kid both mentally and physically. The kids play tents discussed above entertain kids and also encourage creativity and a healthy imagination. Prices are affordable for individuals of all economic levels. Choose one among the five and make an order today to give your kid an experience like never before. Thank me later!